What Finish Will You Use? How Are the Cabinets Organized? How Are the Lights Laid Out? 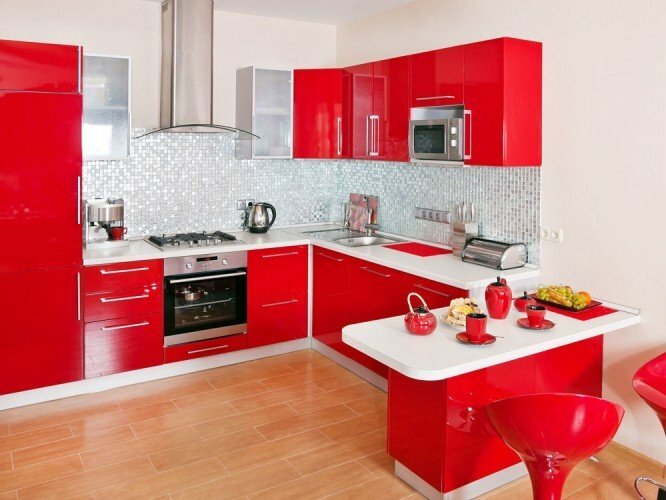 Modular Kitchen Arranged: The modular kitchen is one of the more intriguing spaces you could ever produce in your home. With a modular kitchen, you will use a series of individual parts that will fit together quite well. These can be organized quite well and could even be cheaper than just buying a full kitchen for your home. There are a few tips that need to be used if you want to get the most out of your modular kitchen. These include many plans for giving you the layout you want. Start by taking a look at your prospective floor plan and figure out the work triangle you will use. The work triangle refers to the layout where the sink, refrigerator and stove top are linked up to each other. The three should be connected in a pattern that forms a distinct triangle going from one item to the next. Figure out how the work triangle will be in your modular kitchen as you get it ready. It must be organized in a way that you can get around the entire kitchen without bearing with any cramped spaces or otherwise tough corners. Allow enough room to walk around too. Contemporary kitchens tend to have larger working surfaces where you can walk from one spot to the next with ease. Watch for how well the kitchen is laid out and that you have a good sense of control over how the kitchen is organized right. 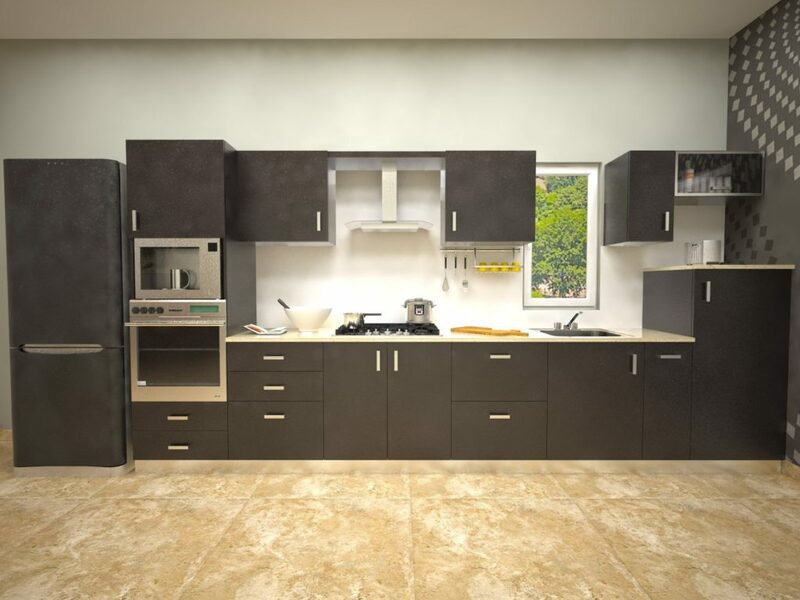 Check on how high your counter top will be when producing a good kitchen layout. The counter top should be around 800 to 900 mm in height. This should be enough for producing a space where you can add things above or below the counter top. The countertop can be as long as you want it to be. But try and keep it at a good height that is not too hard to use. 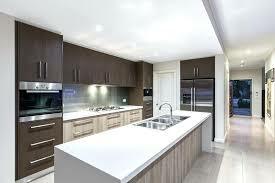 One popular feature of many modular kitchens is that they are built with recessed bodies. That is, they are located inside the walls. They will not stick out of space all that easily. You could use this to add a nicer look that fits into a surface with ease. This could add a good layout with ese. Watch for the electric and plumbing connections you plan on adding in a space. Make sure the connections are organized right and that you are placing your appliances in spots where you can get them secured and prepared well enough. Look at how well each appliance is recessed into your surface. Each appliance must be added in a seamless manner. Keep the appliances looking similar if possible. You can find many modular kitchen appliances that come from the same brand and are made with the same components and surfaces. The appliances you want to use should be arranged well enough and with care and control. Watch for how well the organization is made and that it has a good organization all around. The finish you add onto your space should be organized with a nice layout that adds a comfortable appearance. A good idea for the finish could be to use something that matches up with the floor or contrasts well with your countertop. But no matter what you use, it must be made with a base that can handle the humidity and temperature conditions in your kitchen. Watch for how it can be organized so it becomes easier for you to get the surface to stay beautiful and attractive. The cabinets around your kitchen should be planned out after you get the countertop organized and the appliances in their right spots. To get the cabinets ready, you have to watch for how well they can pull out and if they will get in the way of your work triangle. They should be in spots where you can fully pull out a cabinet if you need to get way back in there when finding something. Prepare dividers in your cabinets to sort things. A cabinet for kitchen utensils can include one compartment for knives plus another for spoons, for instance. The height of a cabinet should be based on what you plan on adding in a spot. A utensil cabinet can be thin while a spot for storing boxes and containers may be taller. Keep each alignment area for your cabinets the same if possible. This allows you to switch cabinets out as needed. All the cabinets should be organized with liners at the sides that let you conveniently move the cabinets separately from one another. This is for when you have two cabinet spots in one alignment area; the smaller one on the top can be on the same rack. Your cabinets should be laid out to be easy to open and use. Look carefully at how well they may be arranged and that you have a great plan in mind for getting these to work for you. Watch for the vents in your kitchen when planning your space. The vents should be placed in many spots where the air can move around well. But it must be put in spots where you will plan on putting in any heat-generating items. This is especially for when you’ve got to get a new stove added in a spot or anything else that produces heat. The best vent will go right over the oven. This should allow any heat produced by the oven to escape your house. The corners should be arranged with a convenient layout. One good idea is to produce cabinets on the corners that open on one side and offer a wide layout. This lets you access everything inside the cabinet as the compartment is organized on both sides. A triangular shape is great to have for a cabinet on the corners. This adds a comfortable layout that fits in well without being hard to follow. The corners should be arranged well and should actually be useful without taking up more space than what you can afford to handle. Not all cabinets in your modular kitchen have to feature bodies that pull outward. You can always have basic shelving units in a cabinet. But these shelves should be ones that you can remove as needed. This is for when you have to change things around when getting items stored properly. Watch for how well these removable shelves are organized well. Apply a light fixture around the entire countertop. The light could be added to the bottom part of the counter or around the end of the top. A strand of lighting can be organized around the countertop to add a comfortable look all the way through. Add lights inside each overhead cabinet if possible. The light should add an extra bit of visibility in a spot. Keep the lights recessed if possible. This is to keep them from getting in the way. Make sure the lights are connected to an electric outlet well and that they are organized properly. This should give you more control over how well the connection can be laid out right. The last idea to see for a modular kitchen is to add a built-in trash bin. This could be incorporated into a slim cabinet space in your kitchen. It should be placed separate from other cabinets to ensure anything you throw out does not get in touch with other clean items. A good rule of thumb for the built-in trash bin is to produce something that offers a layout where you can sort things. One compartment can be used for recyclable materials while another would be for straightforward trash. The bin should be tall enough to where a can for adding trash can be included. The cabinet you use this in should be easy to pull out so you can remove the bin or the bag and get a new one added as necessary. Look at how well this can be organized so you can get more control over what you want to use when getting your garbage or other needs handled with such a bin. 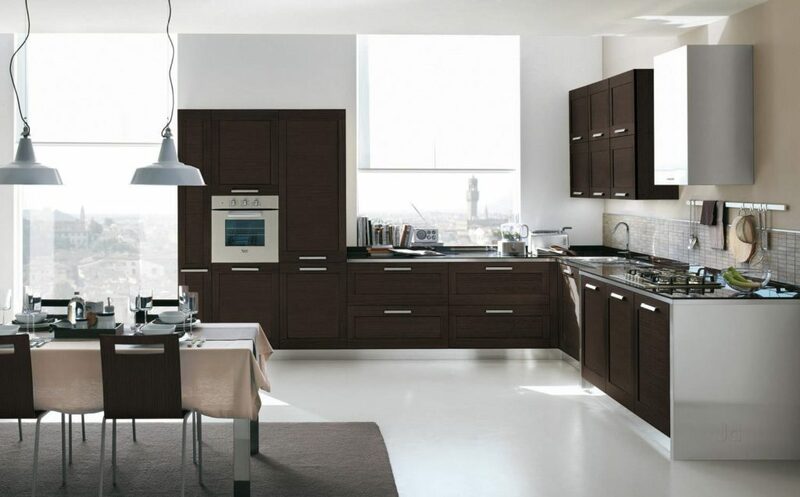 Your modular kitchen will offer an outstanding and distinct look that you will enjoy having in your home. You have to watch for how well the kitchen is laid out and that you have a good plan in mind for producing a nice surface. Be sure you see how well your kitchen is organized and that you have a good plan in mind for getting a quality kitchen up and running without problems coming out of it. Previous What Is Joint Life Insurance and When Should You Go for It!